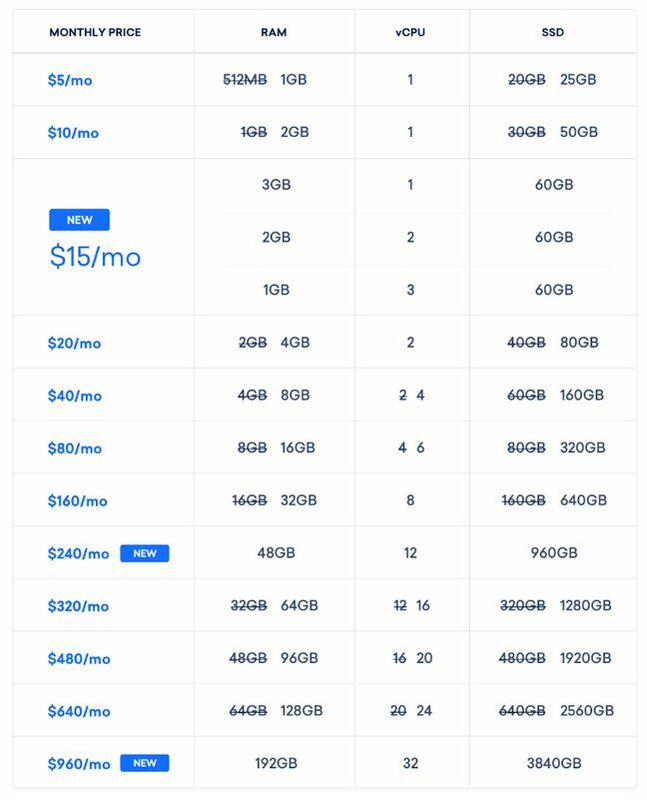 Faced with a customer base being lured away by cheaper cloud compute services at its competitors, DigitalOcean has cut prices and increased RAM and SSD storage for its users. The company has around a million customers and is the world's third largest cloud compute hoster, according to Netcraft – behind number 2 Alibaba and the Bezos beast number 1, Amazon. DigitalOcean had 393,000 web-facing computers this month, 8,400 more than in December 2017. Its appeal is based on simplicity, ease of use and flexibility as well as low pricing, and it has had to move because competitors such as Linode, Scaleway and Vultr, had overtaken its price competitiveness. DigitalOcean has revamped the deal it offers customers. It calls a cloud server or virtual CPU a droplet, and classes said droplets as standard, starting at $5/month; flexible for $15/month; and optimised starting at $40/month.